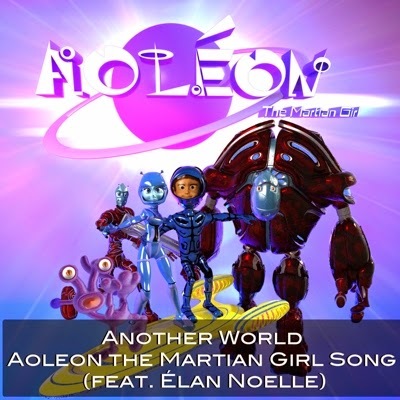 Aoleon is a very cute story about outer space. I know as a child outer space amazed me and still does. I often wonder "What is out there?" I really liked the fact that the crop circle were the fun activities of visitors to our earth. Crop circles as a way to play - made me want to keep reading the book. I kept wondering what was next? Where will this take Gilbert. I found many meaning lessons in the story which I think are valuable for young teens. Brent LeVasseur did a excellent job of incorporating life lessons into the story. Valuable lessons that we all need to be reminded of. I told Isa about Aoleon - The Martian Girl ...she is excited to begin reading it. I even asked Isa if she would like to be the book reviewer for the future books. She is so excited! The day after Christmas her and I are taking a train trip to my Mom's for the holidays. Isa plans on reading Aoleon on the train. When we get back I will be posting her review of Aoleon. Isa is 11 years old and she LOVES to read!